The recent news that Baroness Scotland had been subject to a civil penalty for breach of immigration law raises the interesting and not straightforward question: what is a civil penalty? In essence it is a mechanism for government departments and agencies to secure increased compliance with regulations without having to take cases to court – with all the accompanying challenges of proving a breach of regulations ‘beyond reasonable doubt’. It should be characterised as an aspect of administrative justice (chapter 6) rather than criminal justice. Imposition of a civil penalty does not follow a criminal conviction; therefore it does not give the person on whom a civil penality has been served a criminal record. Imposition of civil penalties has become an increasingly used part of the administrative justice system – example can be found not only in the context of immigration law, but also taxation, environmental pollution and many others. Use of civil penalities is wide-spread – not just in the UK. Chapter 5 of the book discusses, among other topics, the discretion to prosecute. It sets out an extract from the Code for Crown Prosecutors on the issue. There has been considerable public debate in recent months about how the policy of prosecution should apply in cases of assisted suicide. How will a person who assisted a terminally ill patient to die be treated? Will they be prosecuted or not? Following comments made by judges in the House of Lords in the Debbie Purdy case, the DPP has sought to clarify the guidelines prosecutors should use when deciding whether or not it would be in the public interest to bring a prosecution against someone who has assisted a person to die. He has published interim guidelines which set out the factors that might result in a prosecution being launched, and those that might lead to a decision not to prosecute. The interim guidance does not alter the law as set down in the Suicide Act 1961. Television plays usually portray judges wearing wigs and robes. In serious criminal trials decided in the crown court this is unchanged. However, such cases aside, the reality is that for the majority of cases (including tribunal cases) judges wear ordinary business suits. For civil and family cases, since 1 October 2008, judicial wigs and gowns have been replaced – save for ceremonial occasions – by much simpler gowns. You can see these by clicking on http://www.judiciary.gov.uk/about_judiciary/court_dress/index.htm and following the links. The Legal Aid scheme came into being 60 years ago (July 1949). Although the scheme that exists today is very different from the original scheme, it is still a crucial part of the modern legal system. For an introduction to the modern scheme see http://www.legalaid60.org.uk/. Currently there are big questions relating to how legal aid will develop over the next 60 years. Government spending on legal aid is not insignificant – certainly more generous per head of population than that in any other country. But there is great concern that the legal aid scheme is failing to provide adequate services to all those who need them. Lawyers working within the scheme complain about the difficulty of earning reasonable salaries; those outside the legal aid scheme argue that the current system is not cost-effective. There will be on-going debate about the future of legal aid, and how legal aid should be delivered. An important recent government initiative – offering resources for teachers and schoolchildren can be found at the recently launched Your Justice, Your World website, http://moj.edcoms-playground.co.uk/moj_apr09/index.php. Very interactive and rather different from normal government websites. Give it a try and let mw know what you think of it. There is not much point in governments making law that ordinary people either don’t understand or know anything about. 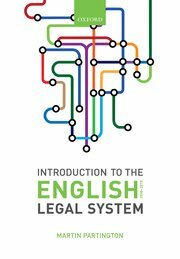 The Public Legal Education Network – seeks to do something about the general public’s legal ignorance. Their latest newsletter is at http://www.plenet.org.uk/newsletter/templates/22/newsletter.html?p=t&id=717&hash=bbf108&list=live-group. Among the issues discussed relates to young people’s awareness of law. There is a report that young people, who may benefit particularly from legal assistance, are not comfortable meeting professional people, preferring family and friends for advice – even though that may be less well informed. How do you think that ordinary people, and especially young people, could become better informed about those areas of law that might particularly affect them?